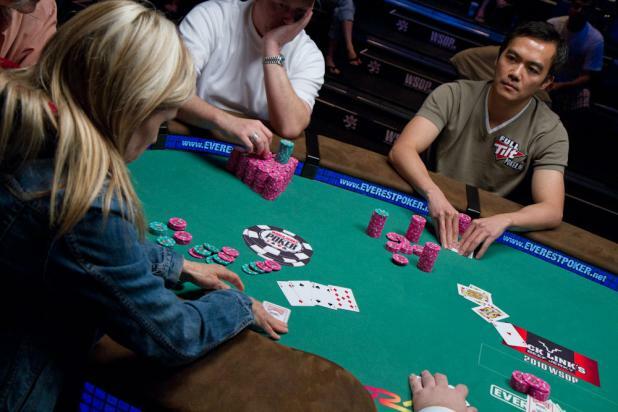 Even though they are friends away from the table, it's all business during a hand between John Juanda and Jennifer Harman. Juanda has the most WSOP bracelets of anyone at this final table, with four -- including one in the 2008 WSOP Europe Main Event. Juanda's quiet demeanor means he is often overlooked by fans discussing the best players in the world, though he is one of only 10 players with more than $10 million in live tournament earnings. Jennifer Harman and Steve Zolotow play a hand to showdown in Event #15 ($10,000 Seven Card Stud Hi-Lo). This hand results in a split pot, with Zolotow taking the high, and Harman taking the low. Vladimir Shchemelev may want to consider a career as a professional poker player, because he keeps making final tables. 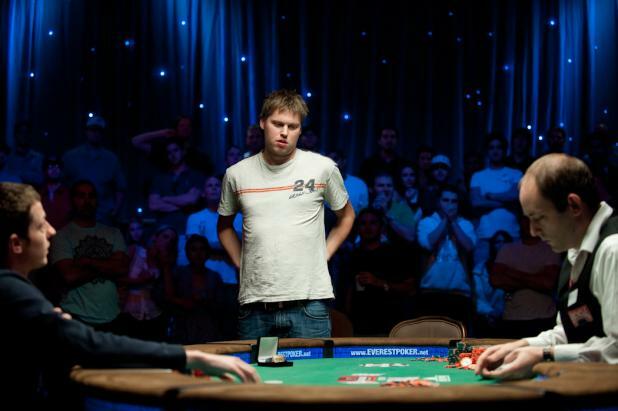 A banker by trade, this is Shchemelev's third championship final table in the first two weeks of the WSOP. He finished second to Michael Mizrachi in the $50,000 Poker Player's Championship, and followed that up with a seventh-place finish in the $10,000 Seven Card Stud Championship. Here at the final table of Event #15 ($10,000 Seven Card Stud Hi-Lo Championship), Shchemelev shakes hands with a smile after busting out in seventh place. And why shouldn't he smile? 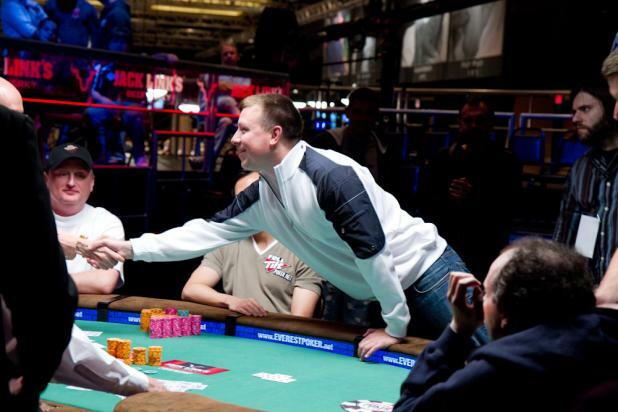 He's already earned more than $1 million, and the WSOP isn't even a third over yet. Regardless of whether or not it's true, don't call Jennifer Harman the best female poker player. It's true that she's the only woman who regularly plays in the biggest live cash games in the world, and it's true that she's the only woman who has won two open WSOP bracelets. But Jennifer Harman is simply one of the best players in the world, regardless of gender. 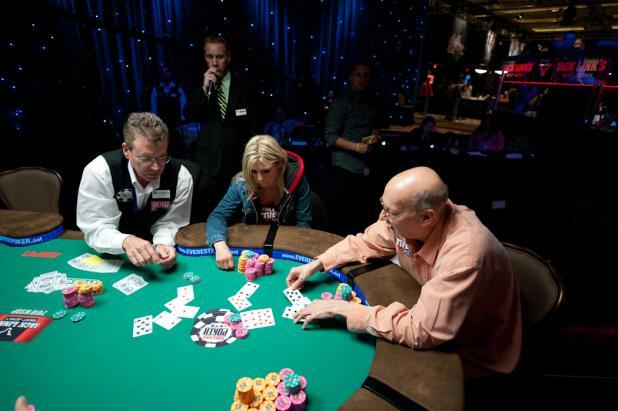 She is looking to win her third WSOP bracelet at the final table of Event #15 ($10,000 Seven Card Stud Hi-Lo). 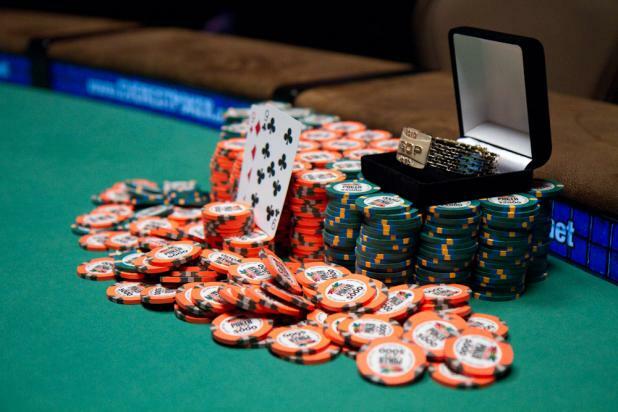 The WSOP schedule includes ten $10,000 buy-in events that are classified as "Championships" in the different variations of poker. 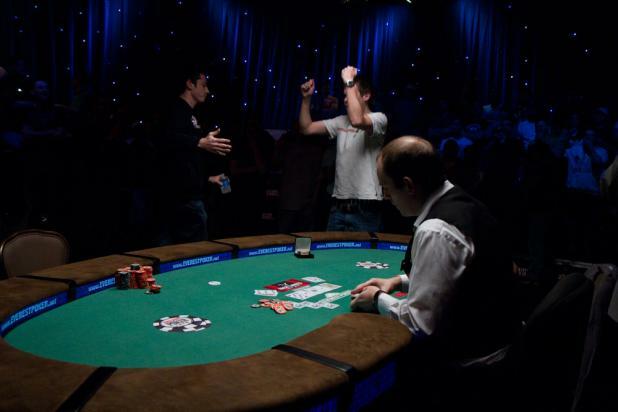 (The most famous of these is $10,000 No-Limit Hold'em, more commonly known as the WSOP Main Event.) Event #15 ($10,000 Seven Card Stud Hi-Lo) is the second of these events, and the final table has a very tough lineup to reflect its championship status. 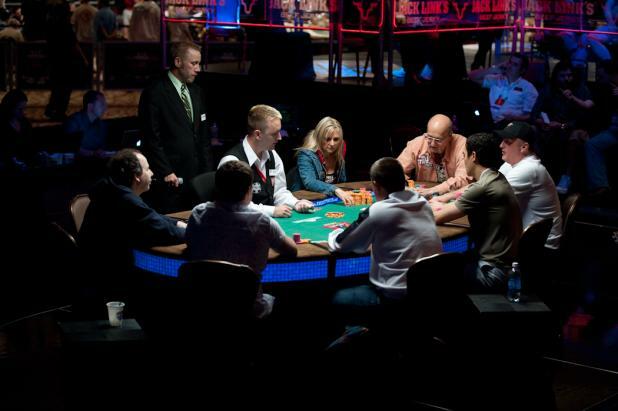 The final seven players, clockwise in seat order: (1) Jennifer Harman, (2) Steve Zolotow, (3) Frank Kassela, (4) John Juanda, (5) Vladimir Shchemelev, (6) Kirill Rabtsov, (7) Allen Kessler. Dario Minieri also made this final table, but was eliminated in eighth place. 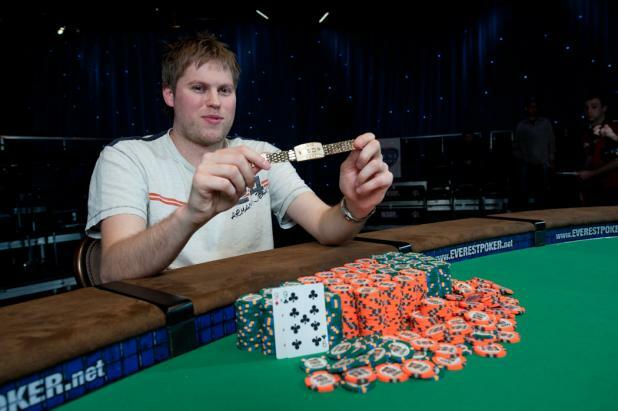 With his victory over Tom "Durrrr" Dwan, Simon Watt becomes the first WSOP bracelet winner from New Zealand. After the victory, Watt said, "It was amazing. It was strange. It would have been crazy enough to just make the final table. But to play against Durrrr heads-up made it much better." He later added, "My parents were initially not too keen on my playing poker, especially my mother. This should help." Mike Matusow, who had bet against Durrrr winning a bracelet this year, interrupted Watt's victory interview to tell him they should hang Watt's photo in Bobby's Room (where high-stakes cash games are played) to honor the man who saved them. The pocket nines that Simon Watt used to win the WSOP bracelet in Event #11 ($1,500 No-Limit Hold'em). In a hand he'd probably like to take back, Tom "Durrrr" Dwan put out a big bet on the turn with the board showing Jh-10h-2d-Ah. 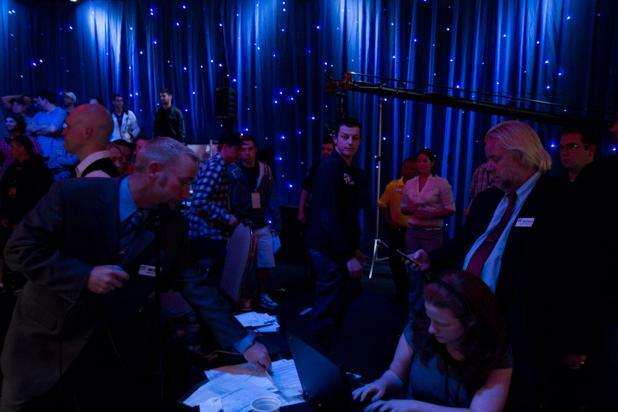 Simon Watt thought for a while before moving all in, and Dwan folded, leaving himself with only 13 big blinds. Dwan moved all in on the next hand (shown here), and Watt immediately called with pocket nines (9-9). Dwan showed Q-6 offsuit, and he'd need to win the hand to stay alive.